Monitoring multiple sclerosis is incredibly difficult; the neuro-degenerative condition develops slowly over time at an inconsistent pace, giving even the most skilled neurologists a major clinical challenge. Assess MS brings together doctors’ expertise—and humanity—with exacting computational data to provide a more robust approach to tracking the disease. 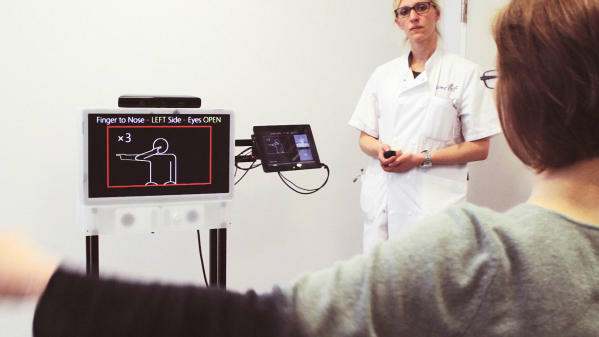 Depth cameras from the Kinect gaming system and artificial intelligence give qualitative status reports, which provide essential data to supplement doctors’ informed decisions about treatment.